Darcie Lang Johnston joined HHS’ Office of Intergovernmental and External Affairs (IEA) at the beginning of the Trump administration after working on the inauguration committee. She became Director of Intergovernmental Affairs in March 2017. 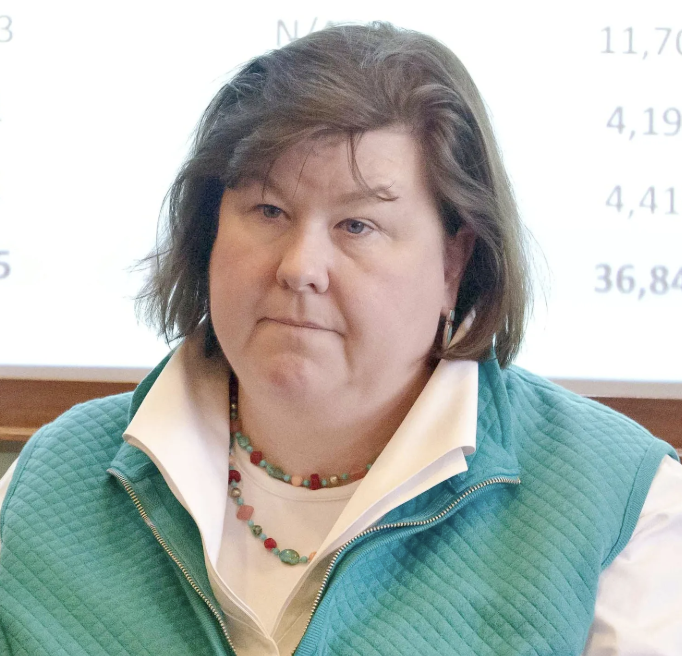 Johnston has been active in Vermont Republican politics throughout her career, particularly in the field of health care — she is a vocal critic of the Affordable Care Act (ACA). The Office of Intergovernmental and External Affairs (IEA) serves as the link between HHS and the state, local, tribal and non-governmental entities served and affected by its programs, policies and initiatives. The office advises HHS on local perspectives, helps to coordinate and implement initiatives at the local level, facilitates communication between HHS and local entities and coordinates HHS’s ten regional offices. From her position as director of HHS’ IEA, Johnston greatly influences the implementation of HHS’ federal programs, including the Title X Family Planning Program. Johnston has been a part of the Trump administration’s coordinated effort to undermine the Title X program. Johnson’s coworker in IEA, Laura Trueman, is a former congressional staffer, Heritage Foundation employee and lobbyist who is outspoken about her anti-abortion views. Early in her career, Trueman worked on the Reagan administration’s Adolescent Family Planning Program, which was created to serve as an anti-abortion, abstinence-focused alternative to Title X. After fifteen years out of the workforce, she spent five years as a healthcare lobbyist. She then joined the Heritage Foundation, an anti-abortion think tank, where she was director of operations for the organization’s healthcare team. She left to serve as House Majority Whip Steve Scalise’s policy advisor and liaison to conservative groups. She is married to prominent anti-abortion attorney Patrick Trueman.